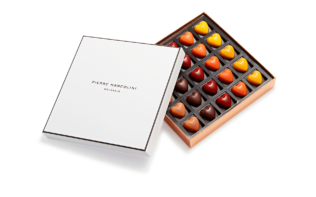 This signature box is a veritable guided tour of the Maison’s very finest products. 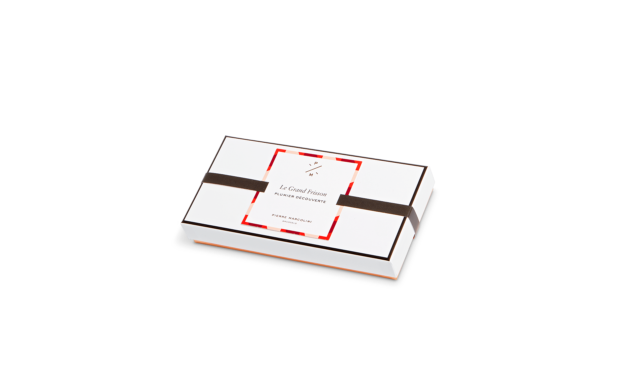 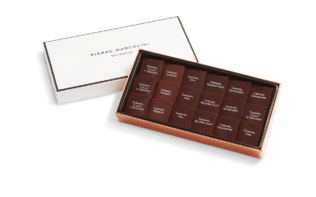 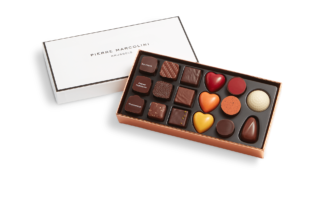 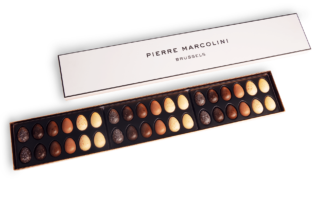 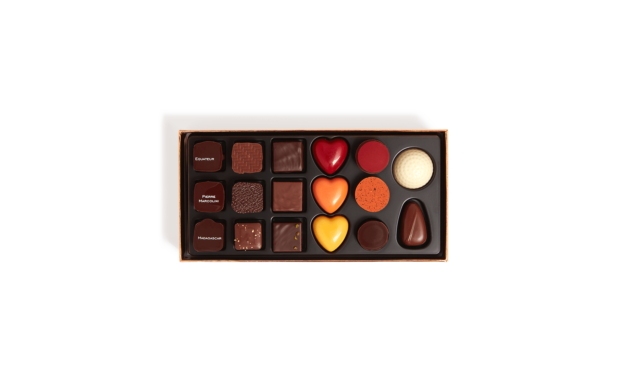 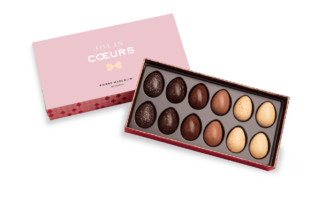 A journey of the senses that involves plain, infused or fruity ganaches, smooth caramels, crunchy pralines and – of course – our iconic heart-shaped chocolate “Cœurs”. 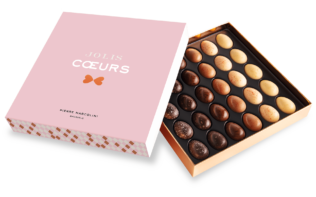 Each creation is made with carefully sourced ingredients at our Atelier, or workshop, where 80 exceptional artisans bring to bear all their passion and expertise.